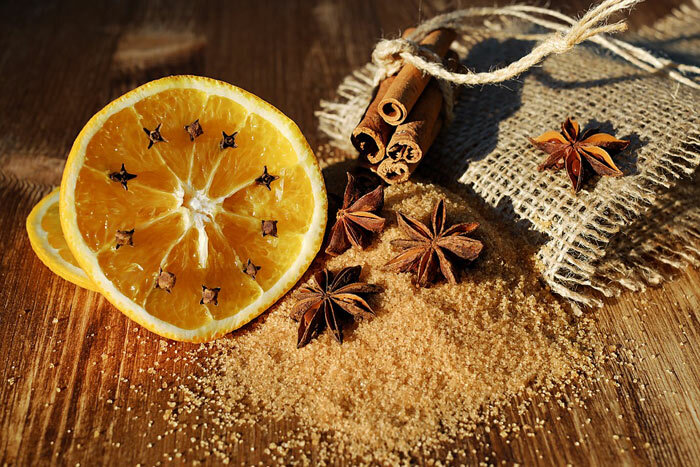 The intoxicating aroma of hot wine, fragrant spices and an invigorating orange is familiar to almost everyone. 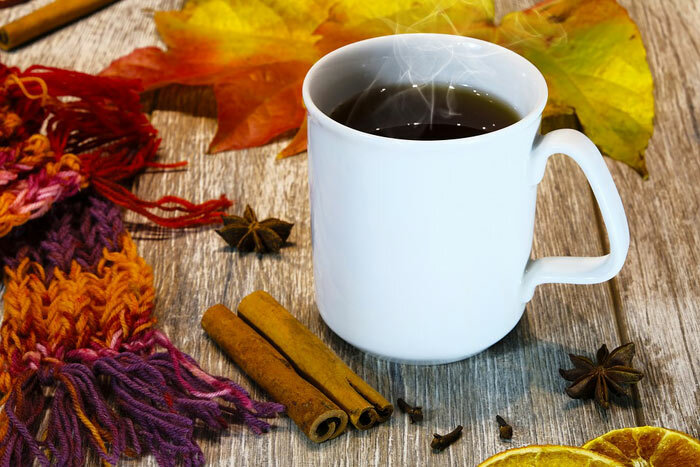 Mulled wine is a drink that will warm you on a cold day, make a gloomy evening cozy and warm, and also help not get sick if you get wet under the rain or frozen in the wind. We decided to find out where the tradition of preparing this drink originates from and collected the best recipes that will not leave anyone indifferent. Historical sources say that the ancient Romans were the first to start mixing wine and spices, although they did not heat it. 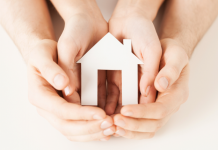 Heating was first tried by the inhabitants of Central and Northern Europe (around the Middle Ages). The reason for drinking warmed wine was Christmas markets and open air bazaars. 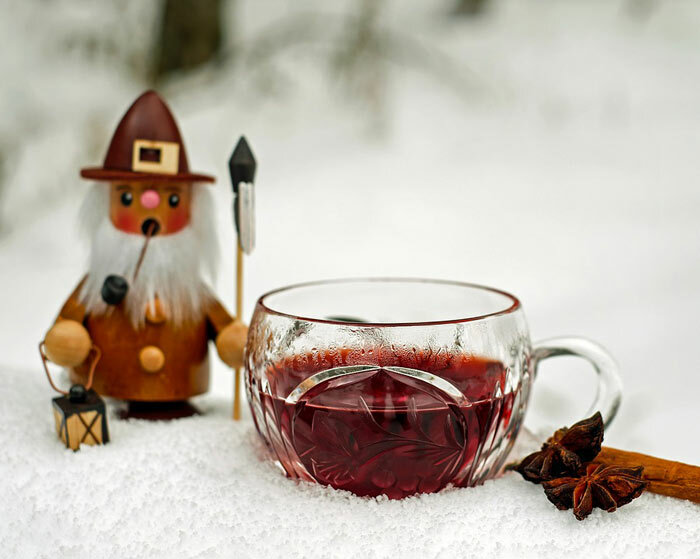 Nowadays, mulled wine is traditionally used in the Czech Republic, Austria, Switzerland and Germany. 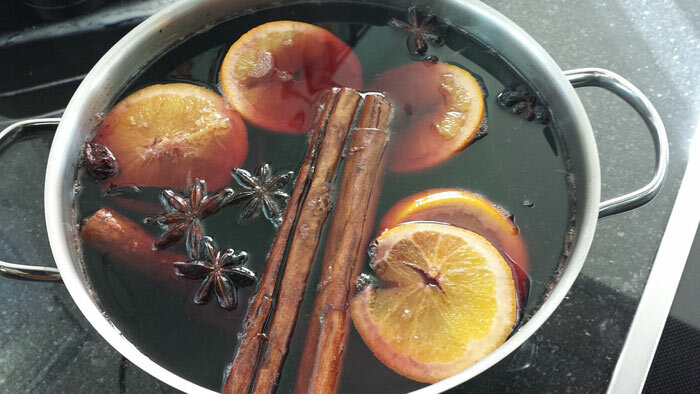 The basis for mulled wine is a semi-dry or dry red wine with an alcohol content of at least 7%. 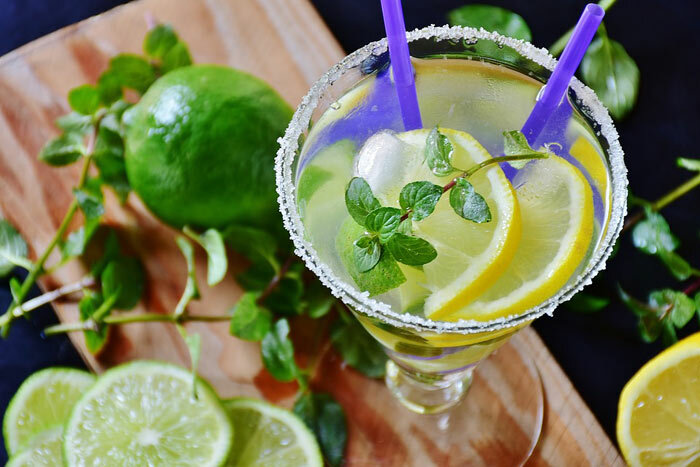 It is heated to 60-70 degrees Celsius and is supplemented with a wide variety of ingredients that can change not only the taste, but also the flavor of the drink. Initially, the root of galangal was used as the main additive. This plant is very popular in Central Asia; it is somewhat reminiscent of ginger, but not so keen on taste. Gradually, other spices began to be used to complement the wine drink. Mulled wine is often spiced with sweet-scented pepper, ginger, cinnamon, cardamom, cloves, and badiane. Besides, one can add lemon or orange slices as well as zest to have a special piquancy. For a richer flavor, you can add nuts, honey, raisins or apples. A warm winter drink based on dry wine is often served in all kinds of cafes or restaurants. 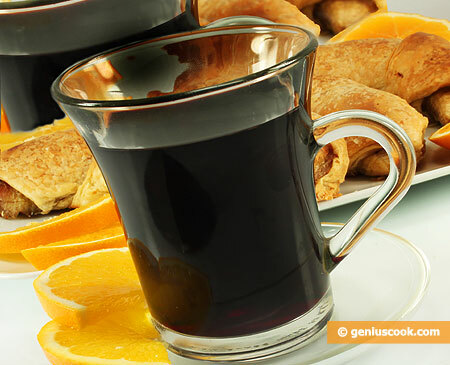 Mulled wine can warm and prevent colds, if you get wet under the rain or frozen. The main thing is to use it immediately and then try not to go out for at least half an hour. A cup of spicy wine is great to drink if you spend time with a company of close people at home, especially since it’s not very difficult to cook it yourself. Here’s a selection of the most delicious recipes! Cut the apple and lemon into large slices. Pour wine into the enamel saucepan, add all the ingredients, mix them well and heat up to about 80 degrees Celsius. Do not let it boil! Cover and let it stay for about 7 minutes. After that, pour the drink in mugs. about 3-4 tablespoons of sugar. Mix all the ingredients in a pan and place the mixture on medium heat. Stir until the sugar melts and then reduce the heat and warm it for another 10 minutes, making sure that the wine does not boil. Now it’s time to remove the drink from the fire, cover it and let the mulled wine brew. After 5-7 minutes, you can serve it, pouring the drink in cups and sprinkling it with a fresh orange peel. Fruits should be cut into cubes of medium size. In a separate bowl, crush the sliced orange and lemon with a fork so that they produce enough juice and essential oils. Then you need to mix them with apples and other ingredients. Next, you need to heat the wine to the boiling point and turn the heat off. You can prepare a decoration for glasses and pour the drink there. Decorating drinks is easy: first you need to turn a glass upside down, dip it into sugar syrup, and then into sugar. 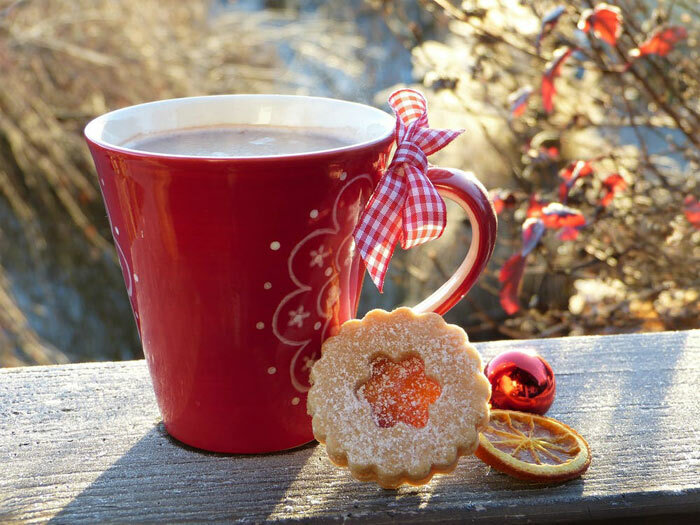 In addition, you can decorate the glasses with a slice of lemon or orange and put a stick of cinnamon in mulled wine.